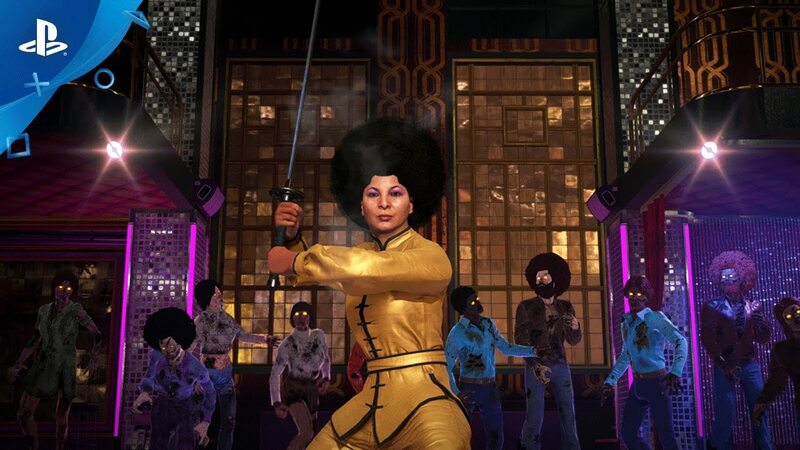 Roller skates, disco, afros, and kung fu. Journey to 1970's New York City and kick the undead menace to the curb. Time to break out your disco ball, glue up your Mohawk, and get magnetic as Call of Duty: Infinite Warfare Continuum — our second map pack — launches first on PlayStation 4. We’re bringing some fresh, funky, and unique content to the game with Continuum. Our team has been playing along and poring over the comments, data, and info we’ve heard from the multiplayer community to make new maps that appeal to both our biggest and our newest fans. To that end, we took another cherished multiplayer map, Rust from Modern Warfare 2, reimagined it perched atop a gilded penthouse amidst a futuristic metropolis, and then created three new, environmentally lush maps that pair well with the classy reimagining. Additionally, our four ubiquitous, time-traveling heroes from Zombies in Spaceland have been pulled into the next gruesome film installment from director Willard Wyler, set in one of the most rat-infested cities on earth. It’s roller skates, disco, afros, punk rock, lots of Kung Fu, and rats to the max. Yep, it’s 1970s New York City. There’s no better guide through this world than the inimitable Pam Grier. 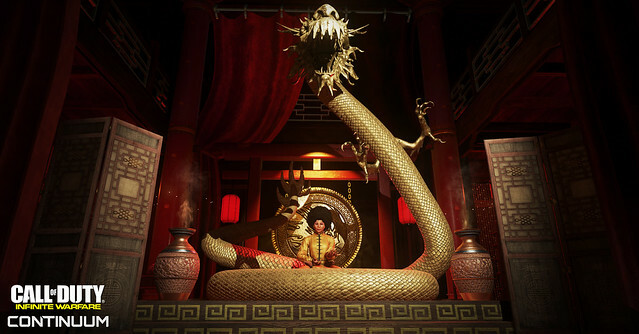 She’ll be your sensei in our latest zombies co-op narrative, Shaolin Shuffle. Can you dig it? Devin Booker from the Phoenix Suns. D’Angelo Russell from the Los Angeles Lakers. Content Creators Swiftor and Mcsportzhawk. Infinity Ward designers from the multiplayer and zombies teams. Save some cash by purchasing the Call of Duty: Infinite Warfare Season Pass for immediate access to Continuum, our first map pack Sabotage, and both remaining DLC packs. Still haven’t joined the party? You can buy the Digital Deluxe Edition today for hours of gaming goodness. Continuum is available now, first on PlayStation. Do yourself a solid, keep things copasetic, and get down with some new COD! I wish they would sell zombies as a stand alone. I’d buy it. Wow, this looks like a lot of fun! “Looks Cool… The Zombies though… not the game.”~ Everyone with a sense of intelligence. Cool DLC! I’m going to save even more money by waiting until the Season Pass has been discounted and all the DLC has been released before I buy. The single-player campaign was decent enough. I would encourage people to look for the PS4 disc on Amazon. It’s generally around 25 bucks now and it’s worth that much, but not more. Save your money these new maps are horrible!